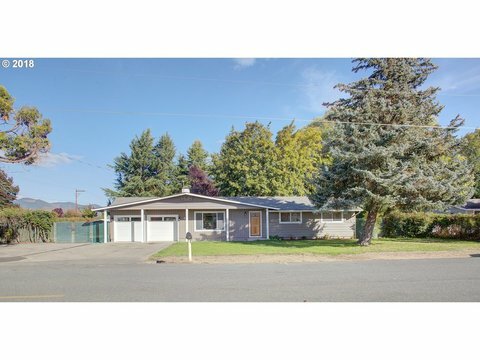 All Grants Pass homes currently listed for sale in Grants Pass as of 04/19/2019 are shown below. You can change the search criteria at any time by pressing the 'Change Search' button below. 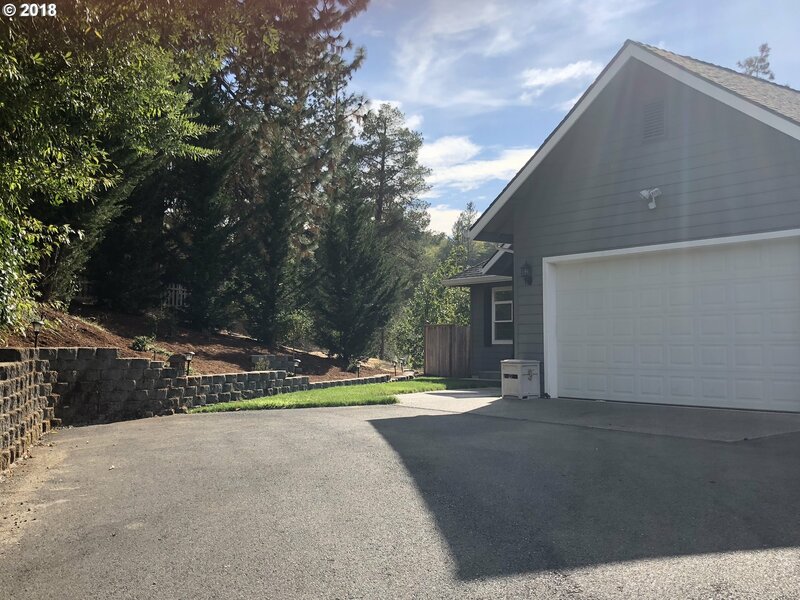 If you have any questions or you would like more information about any Grants Pass homes for sale or other Grants Pass real estate, please contact us and one of our knowledgeable Grants Pass REALTORS® would be pleased to assist you. "This grand home is one level and luxurious on a grand scale. The property is 16 acres fenced with three pastures, year round Jump Off Joe Creek with water rights and borders BLM too. The property is flat with open meadows, and could qualify as organic. There are three wells with over 12,000 gallons in three holding tanks. You will never run out of water. You must see this incredible two island gourmet kitchen with commercial grade appli"
"Imagine VRBO, Airbnb, a family Oregon retreat or luxury personal home. Fully furnished! Gourmet kitchen w/Viking & JenAir appliances plus granite counters. 2 car attached garage and 1200 sf detached shop/RV bay. Private gate, water feature, mature trees and landscaping accent the exterior which boasts a 10 wrap-around deck and rare redwood siding. Pine T & G ceiling, red oak hardwood floors and a On-Q home tech sys"
"Beauty abounds outdoors! Lovely city views, tranquil waterfall w/ 3 ponds, walking trails, and lush lawns on over 1.4 acres. 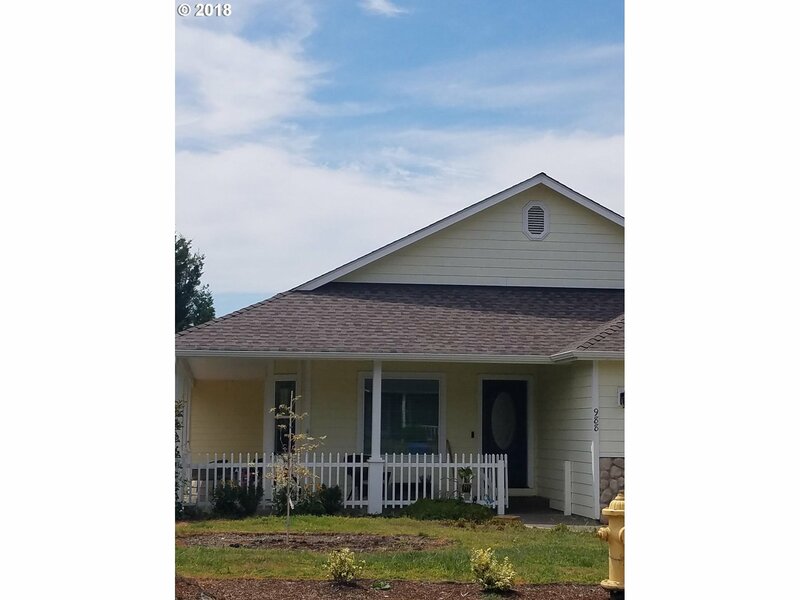 3 bedroom, 2.5 bath home with nice floorplan featuring a living room, formal living room, den, dining area, formal dining room, and a safe room. Call to schedule an appointment today!" "ONE OF A KIND VIEW. This 4 BRs, 4 baths, custom quality home with a three car garage. Gourmet kitchen with all commercial stainless steel appliances, granite counter tops, two dishwashers & custom designed cabinets & interiors. Custom finished hardwood floors blended with tile & carpet flow beautifully thru out the living area. This home was built for entertaining. Washer/Dryer hook-ups on both levels. VIDEO https://youtu.be/lwP21vLyJmA"
"Enter into this one of a kind restored pacific northwest crafstman style home, with 100 year old charm paired with contemporary luxuries. Re-finished original wood flooring, 10 ft. ceilings, flood irrigated acreage partially fenced. Original hand-hewn beam stretching the width of the entry living area, adorned with the comforts of a custom bricked fireplace with energy efficient pellet stove for heating through the winter." "Private, but not isolated, 4.79 level to gently rolling acres. 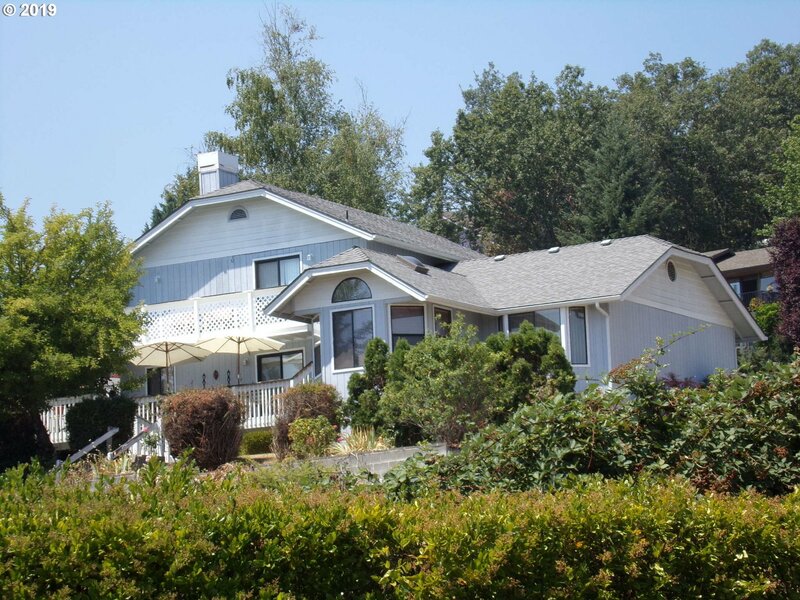 Property is fenced, cross-fenced, gated, with trails for walking, golf cart or ATV access. Includes 2-car finished attached garage, covered RV parking with hook-ups, 20x28 insulted shop with roll up door and car-port. The 2 story 3 bd, 2 1/2 bath home has master, living room, kitchen and laundry on main with several accesses to the covered deck and hot tub. Home Warranty"
"This home is huge! You will be amazed at all the space in this very accommodating floor plan. 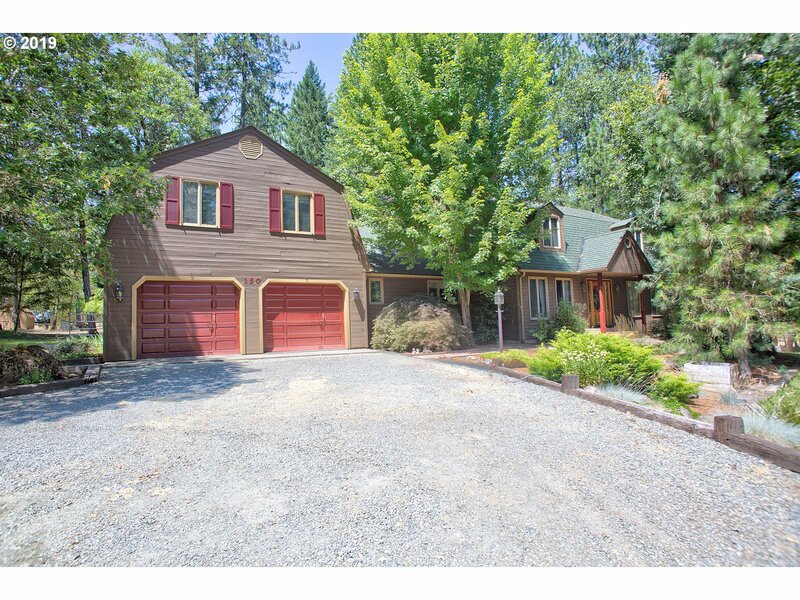 Offering Valley Views and Privacy this home is in an area of great neighbors in a tucked away location. Enjoy the Deck at the front of the home. Large bedrooms upstairs and down. Built in 2006 so most of your current design features are already in. Move in Ready. All information deemed accurate, buyer to perform their own due diligence." 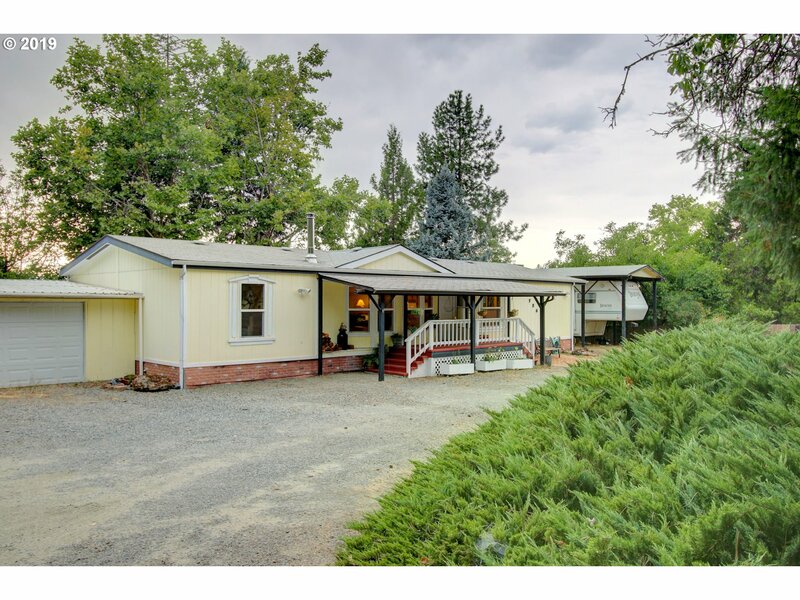 "Country home with lots of character, remodeled in 2010. Has 3 sources of heat, amazing kitchen with gas cook top, double ovens, family/home theater room, tons of storage. New fencing surrounds property with security gate and cross fencing. 40 GPM well on level 2.79 acres. Comes with 1 year home warranty." "Great Southern exposure decks and views from kitchen, dining and master bedroom. Bay windows & several skylights. 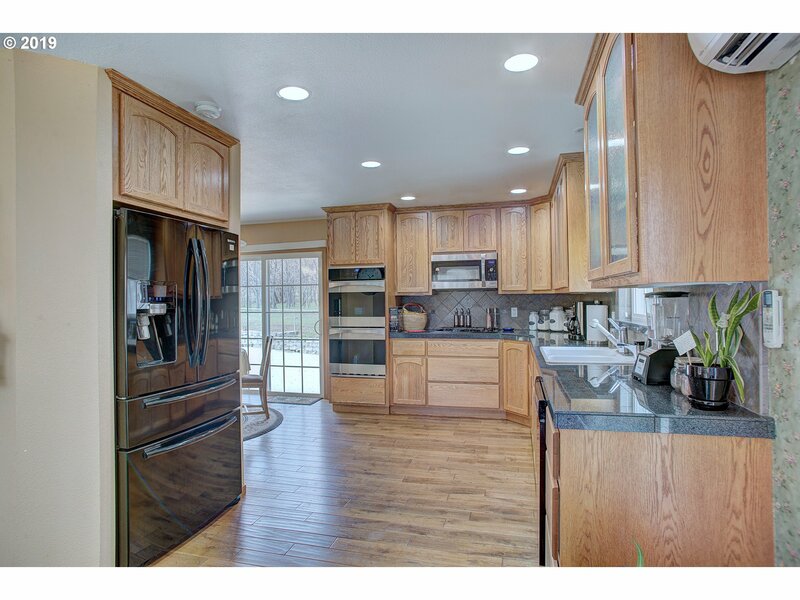 Cook Island with ample counter space, oak cabinets. Two family rooms and small office. Laundry in 1/2bath with laundry shoot & built in ironing Board. Central vacuum, alarm system. Large Master & master bath with walk-in. New vinyl fence, tiered yard with in-ground sprinklers. Additional parking above & parking below." "Located in the NW Grants Pass. 4 bed, 2 bath, over 2300 sq.ft. of charm and delight. Well-kept and updated throughout. Large .23 acre lot, fully fenced, in-ground sprinklers, low maintenance yard. 2 driveways, 3 car garage and still plenty of space for parking and your toys. Inside is clean and inviting with large kitchen, fireplace, hardwood floors, granite counters, lots of windows. Call your Realtor today." 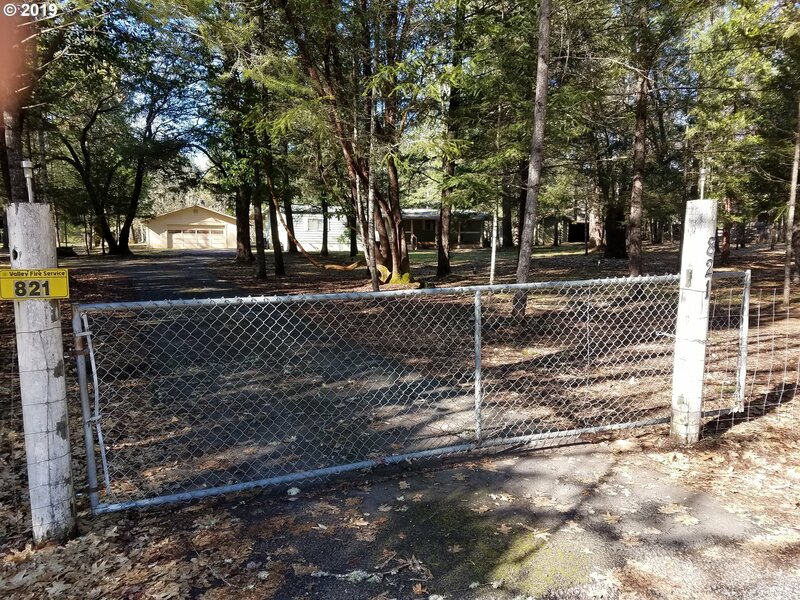 "3 bed 2 bath manufactured home on large 1.06 Acre lot. Features covered deck and shed." "Charming home with white picket fence. Country feel with City amenities. Separate liv family room. Vaulted ceilings, spacious bdrms.,updated, lots of light. Large wrap around porch. Fenced back yard with raised garden beds. Finished 2 car garage plus RV parking. Nice neighborhood, really close to elementary school." "Amazing remodel with look and feel of new home. Open floor plan, custom cabinetry throughout, new lighting, plumbing, flooring, int and ext doors and trim. Certified wood insert. Fenced and private back yard, over-sized 2-car finished garage, RV and extra parking, irrigation with new pump, new sprinkler system clock. Covered dog kennel & finished shed/work shop. 1 year warranty"
"Extraordinarily upgraded and very well maintained manufactured home on pastoral 2.5 acre property on Williamson Loop Rd. Must come and see to appreciate this quite and peaceful setting with just enough trees to remember what southern Oregon living is all about. 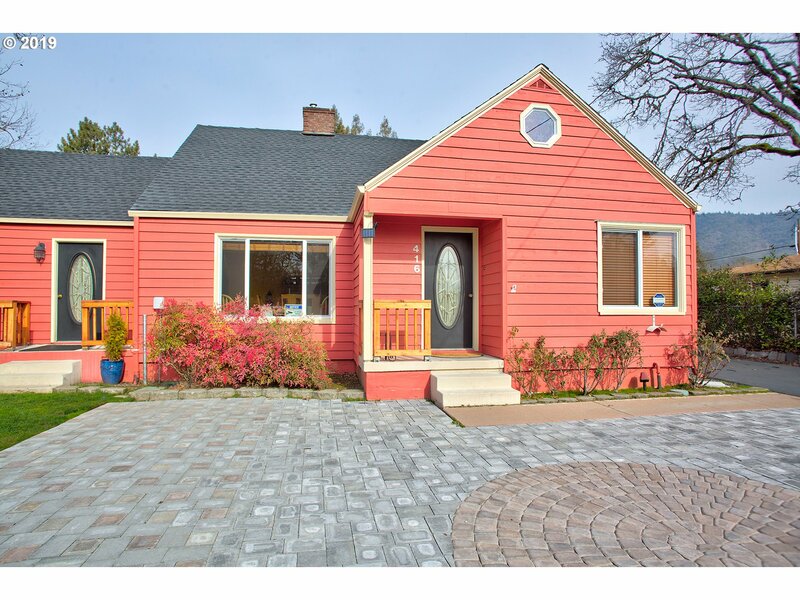 This is a fantastic home to either live in or use as an income producing rental property." "Grants Pass' newest subdivision, Candler Heights. Many home plans available, between 1,000 and 1,800 sq ft on lots from 7,000 to 8,000 sq ft. Prices for home and lot start at $246,500. Ground breaking June 2019 Faszer built homes with custom cabinetry, granite counter tops, stove, dishwasher, built in microwave. Insulated finished 2 car garage. Landscaped front yard & cedar fenced back yard. Refundable $500. to reserve your lot & home"